We have a lot of respect for our emergency services in America – our heroes in the police force, the fire department, and the emergency medical staff who save lives on a daily basis. However, a group that often gets overlooked are postal workers. Not only do they keep the country ticking, they can also make our lives brighter and more fulfilling as a part of the community. Often, they go above and beyond the call of duty to do so. Let’s take a look at 20 postal workers who are making the world a better place. 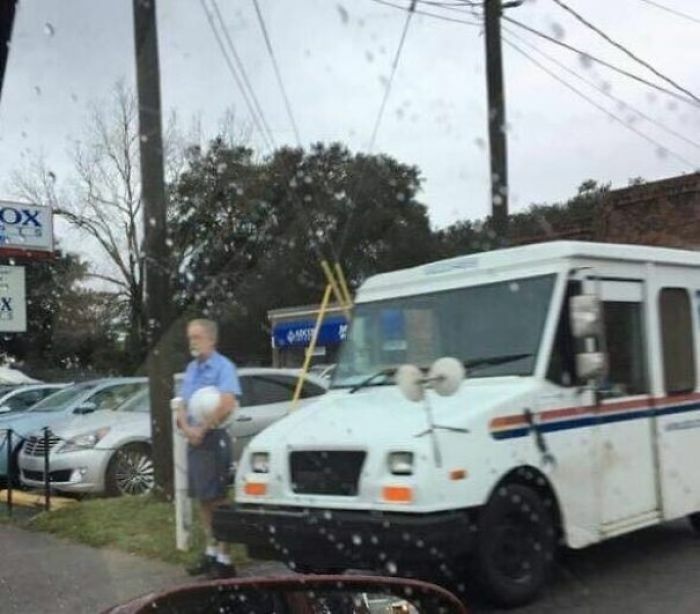 This mailman went above and beyond the call of duty, in order to do what was right. We need more people in the world like this guy! 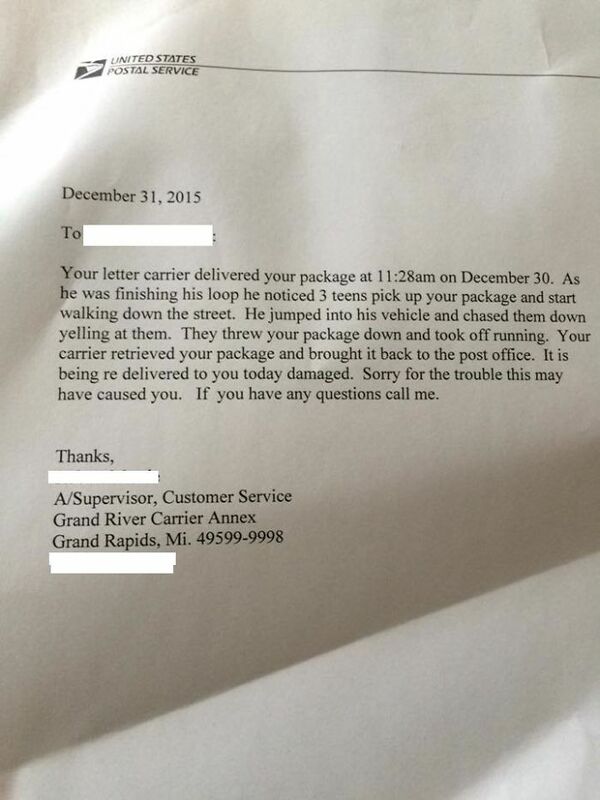 I hope the Postal Service gave him some kind of reward. 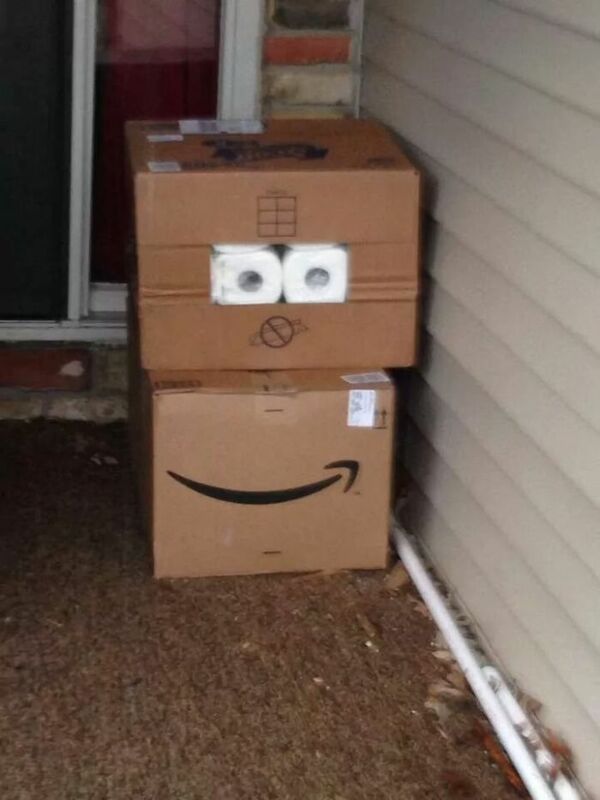 It’s common practice for mailmen to send the recipient a photo of where they have left the parcel, so that they know where to pick it up. 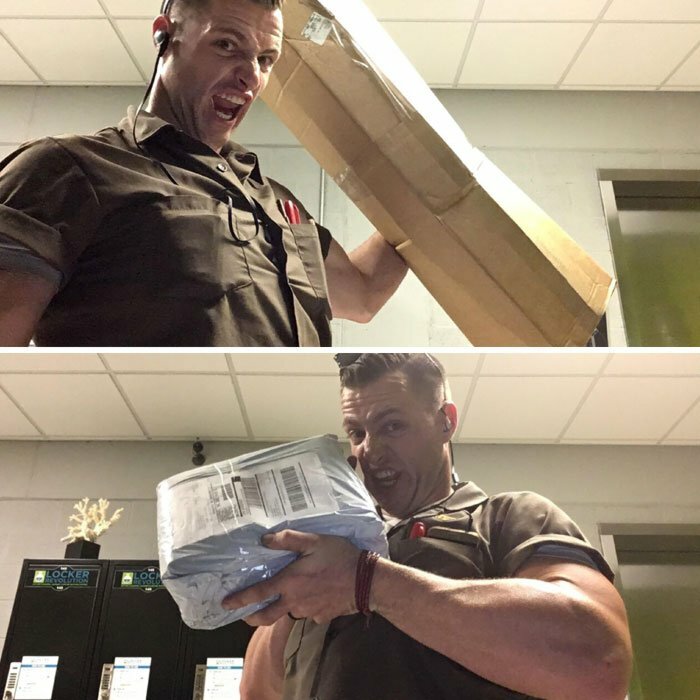 It’s usually just a photo of the package laying on a desk, but this guy had other ideas. Think of how funny it would’ve been to receive these photos! 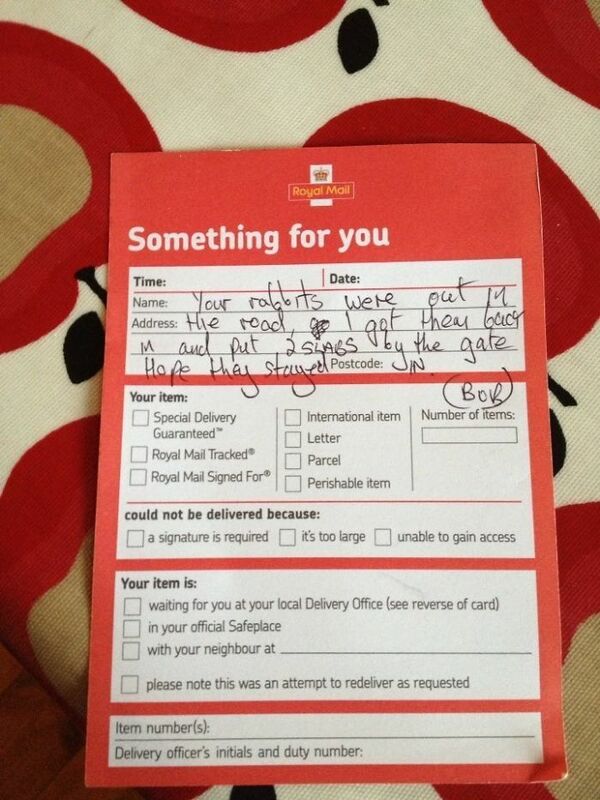 This guy sums up what being a mailman is all about – diligence and consideration! 10 out of 10 to you, sir – you can’t be too careful these days. 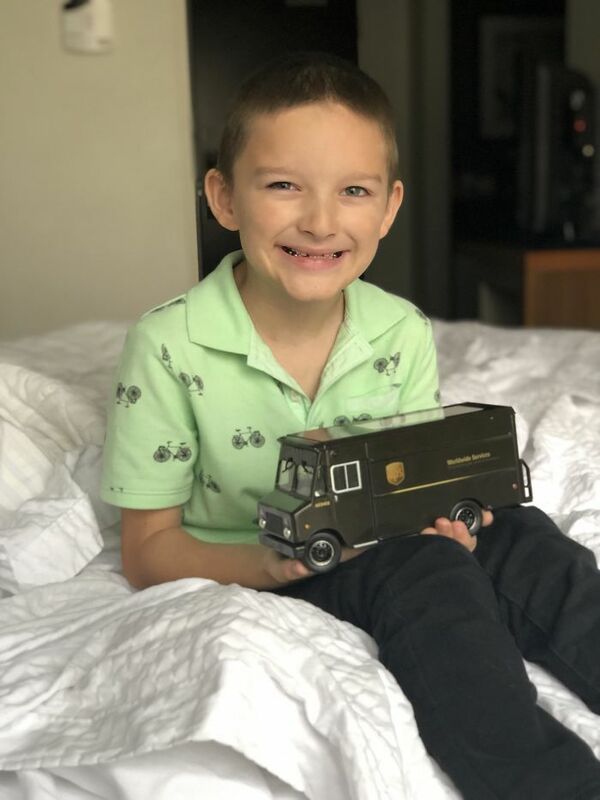 This little man has autism, and is obsessed with mail trucks and other vehicles, so his kind mailman gifted him a model UPS delivery truck for Christmas. Just look how happy he is! 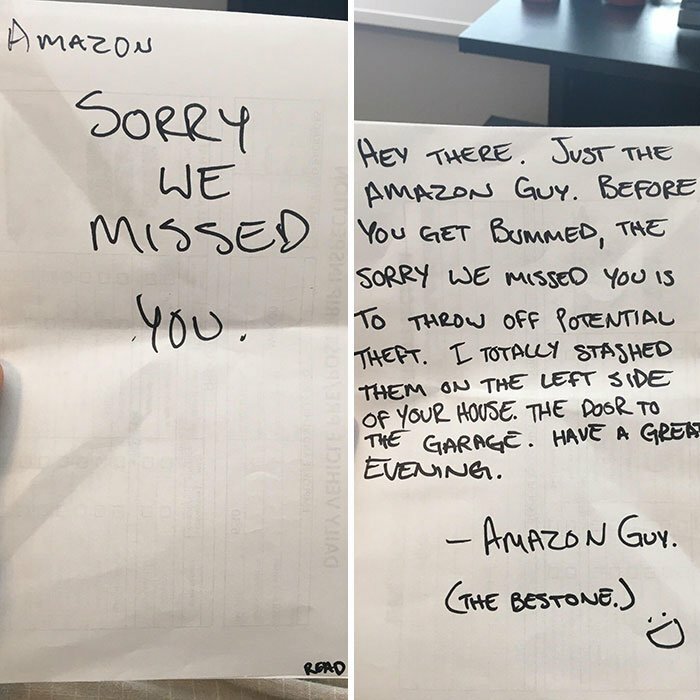 Mailmen and dogs are supposed to be natural enemies, but most of the time, it couldn’t be further from the truth. 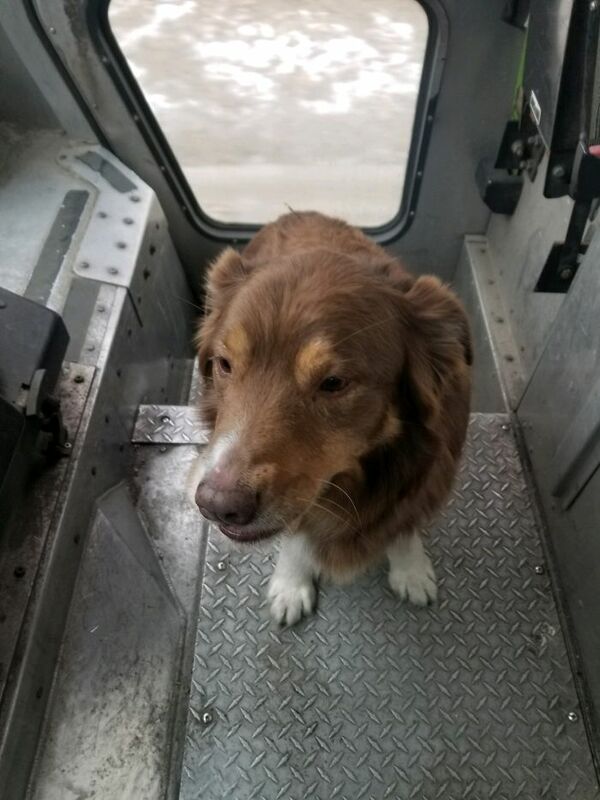 This driver was doing his usual rounds when he found a stray dog lost in the snow. He did what any person would, and rode with him until they found his rightful owner. God bless you! Speaking of animals riding with humans, here’s something a little different. 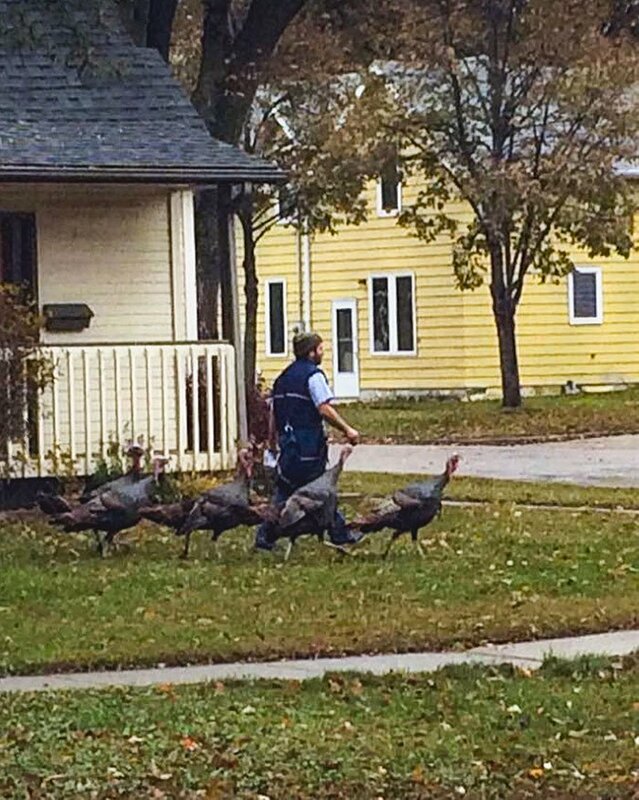 Apparently, this rafter of wild turkeys have decided that this mailman is their new leader, and they follow him around whenever he’s delivering from door to door. 7. Is someone cutting onions in here? 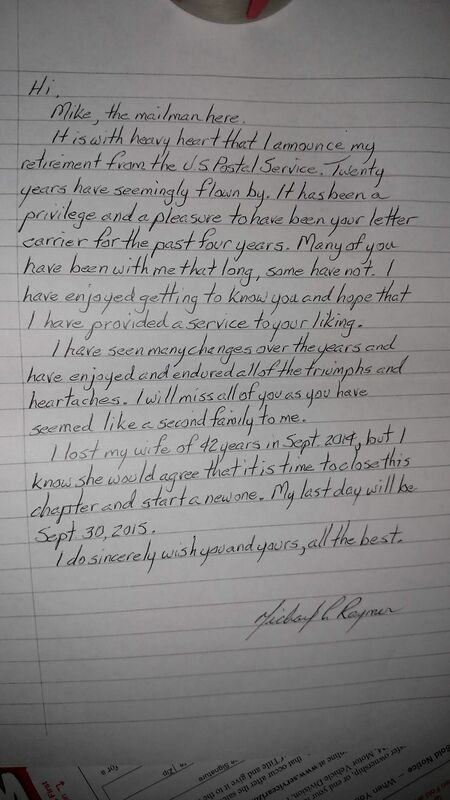 This is unbelievably touching note, especially the part about his wife passing away. I’m sure the community gave this sweet man the sendoff he deserved, and that whatever chose to do next, his late wife is smiling down upon him from Heaven. 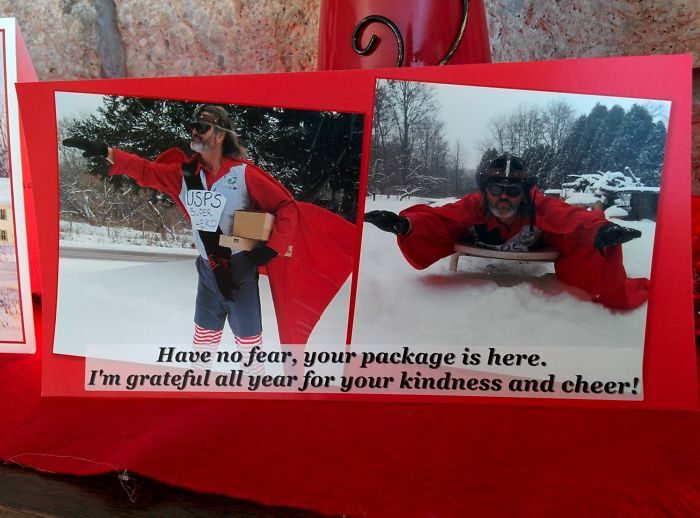 I absolutely love these personalized seasonal cards that mail delivery people send to their customers. Obviously, this one is a bit more special than most. A hilarious example of how to respond well to an impossible request. I see no problem here – I mean, what else are they supposed to do?! As this mail truck driver was going about his day, a funeral procession passed for a World War 2 veteran. 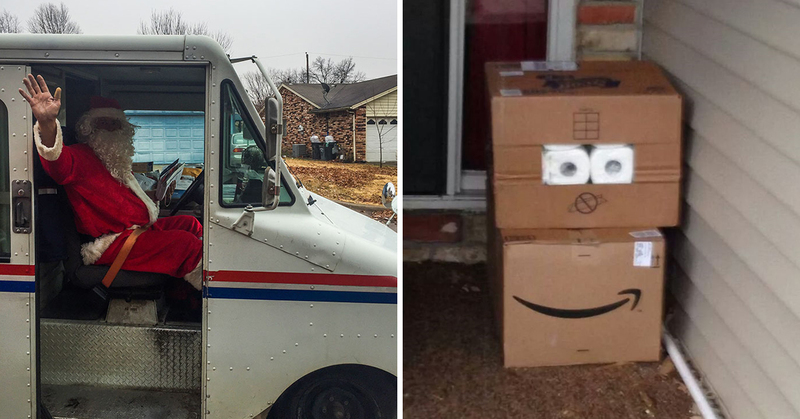 The mailman did the right thing, and stopped to pay his respects. A simple gesture, but a beautiful one. 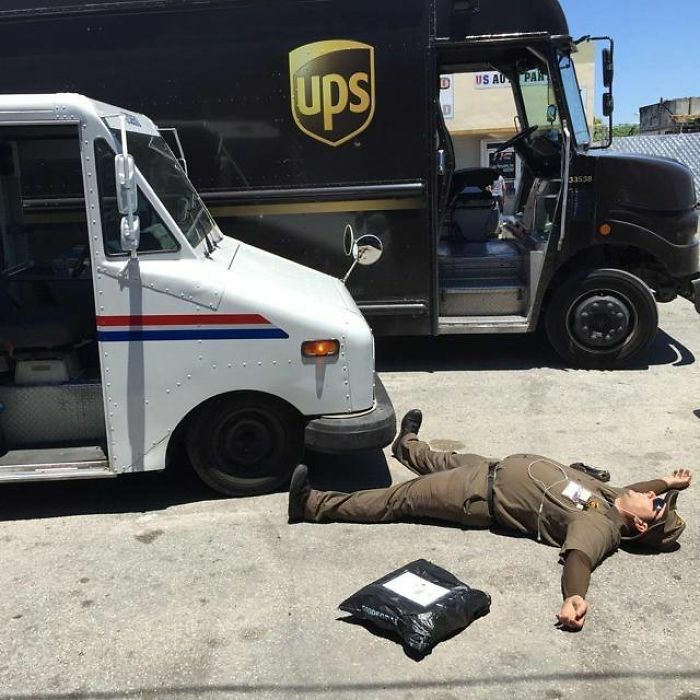 This UPS driver had a bit of fun creating this photo of the consequences of territorial disputes between rival mail companies. I’m sure it doesn’t get this heated in reality! Sometimes you’ve just got to stop and appreciate a bit of delicious irony. I’m so glad this mailman shared this post with the world! 13. 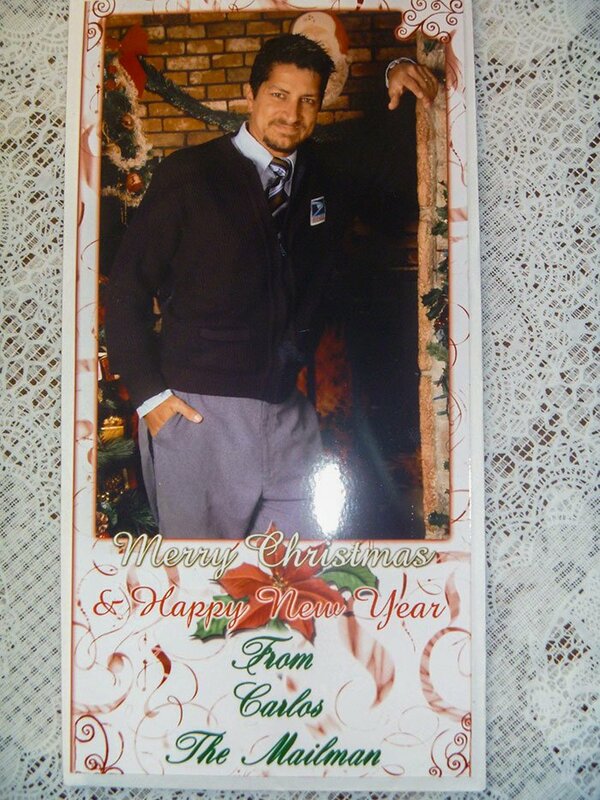 Don’t you wish your mailman was hot like me? 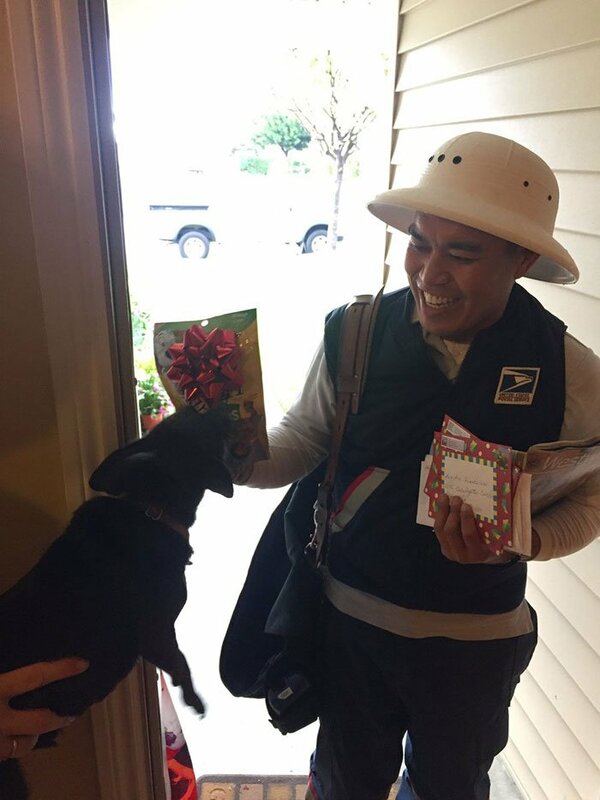 The life of a mail delivery person is a busy one, but Bob here took time out of his day to chase bunnies down the street and return them to safety. 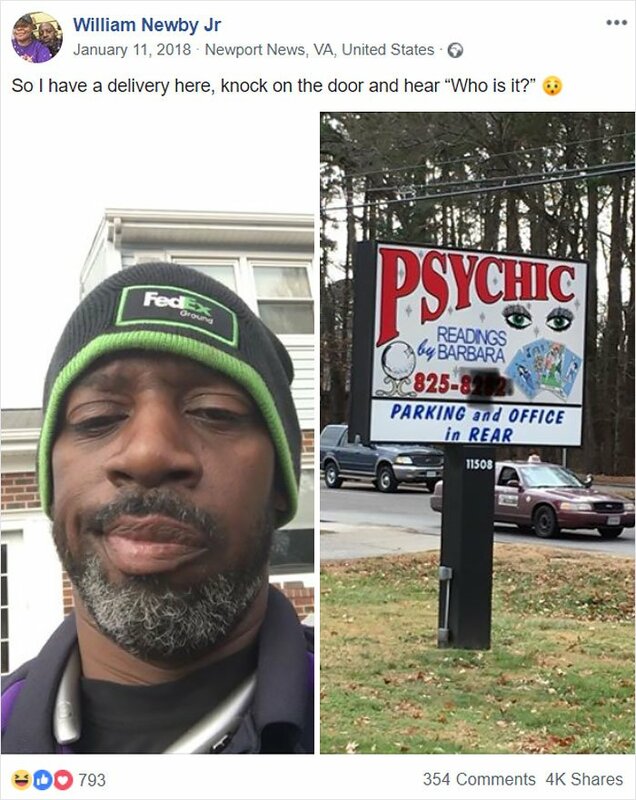 He wasn’t even delivering to the house that day! Small acts of kindness go a long, long way. As a dog lover myself, I can’t even cope with how sweet this is. 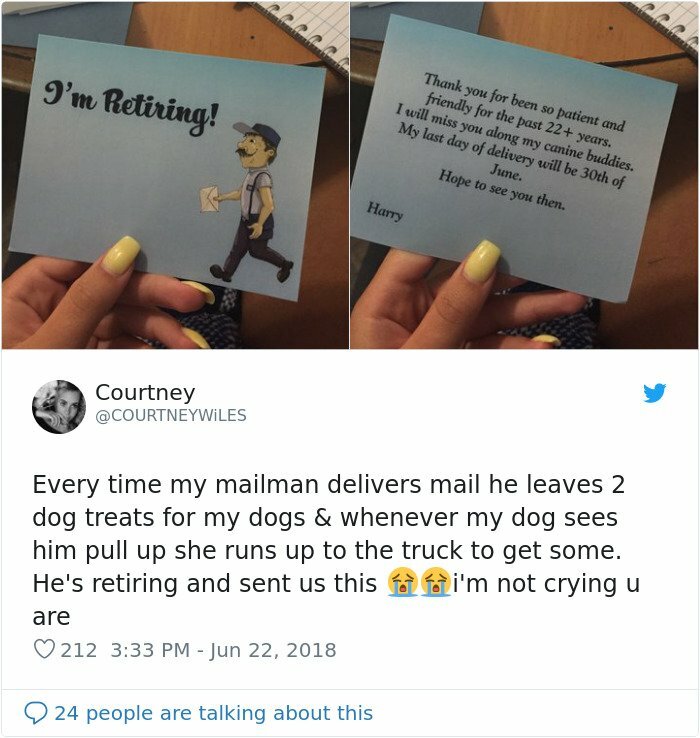 This mailman will definitely be missed in this neighborhood. Let’s stay with the subject of dogs, shall we? Apparently, this chihuahua hated their mailman, so when it was time to drop off his Christmas cards, he gave the angry little pooch a special package of bacon treats. I assume the doggy feels a little different about this guy now! 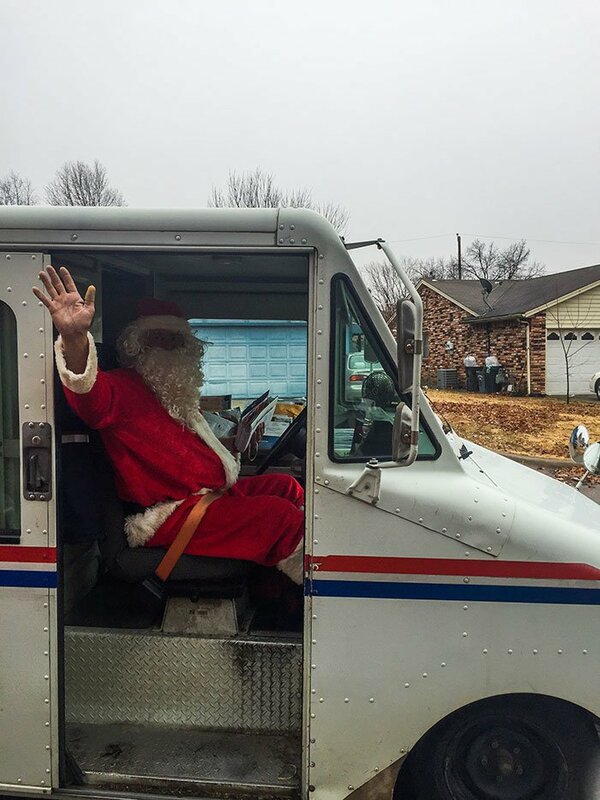 Apparently, this mailman dresses up as Santa for his Christmas Eve rounds every year. I bet the local kids must love it! 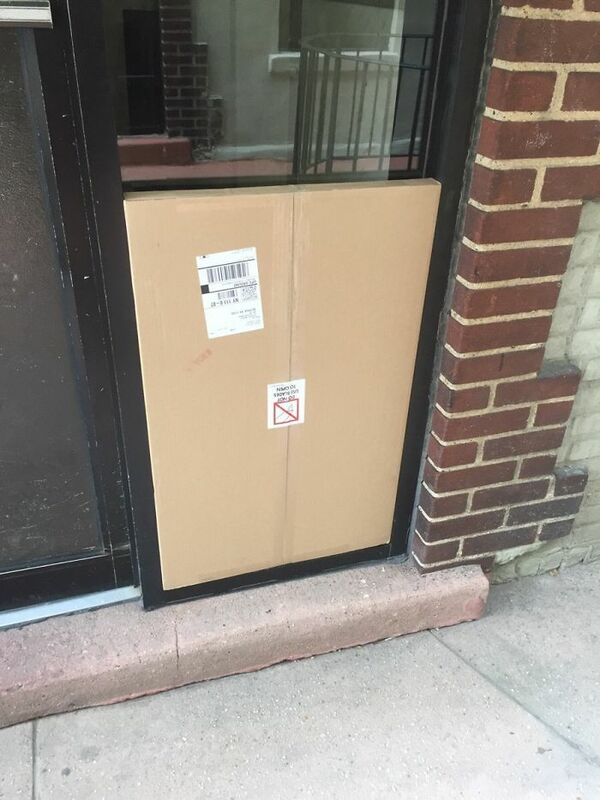 The mailman who dropped off this particular package must have been incredibly please with himself. This is a once-in-a-lifetime fit! 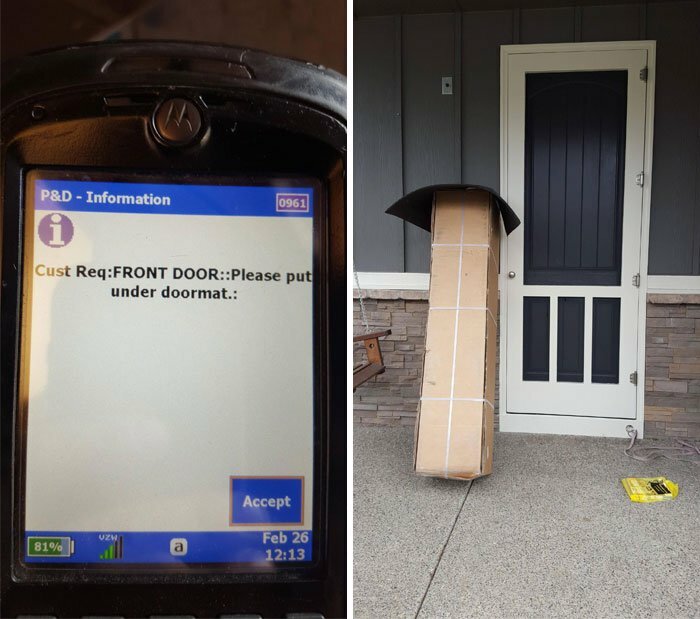 I love a mailman with a sense of humor. It’s amazing what a difference something silly like this can make to someone who’s having a bad day. 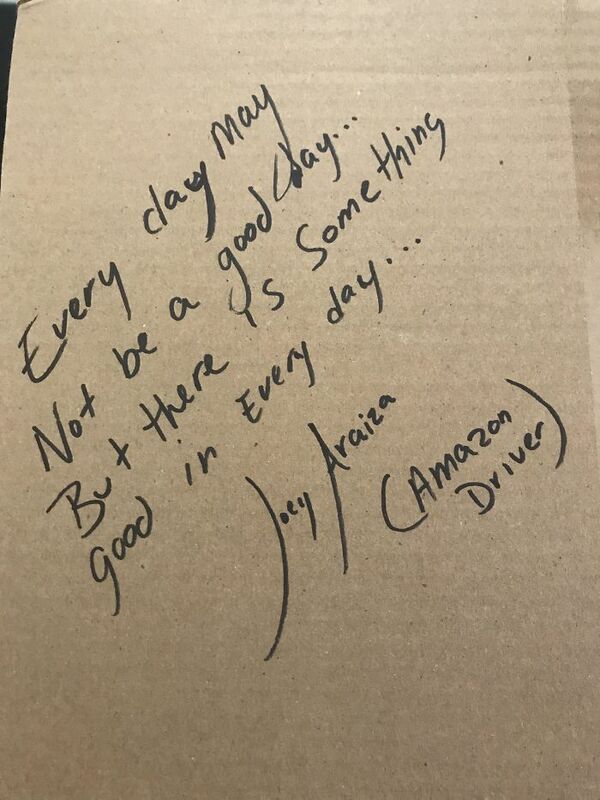 Speaking of which, these are truly some words of wisdom from Amazon driver Joey Araiza. You never know how much someone could need a pick-me-up like this, and it’s great that he took time to do it. I love his signature too! I hope you’ve enjoyed this gallery, folks. Follow the Aunty Acid page on Facebook for more like this!